We grew up listening to Radiohead and the Beatles and Led Zeppelin and Pink Floyd,” says Griffin Sherry, guitarist/singer in The Ghost Of Paul Revere. “Everyone assumed we were a bluegrass band because we were playing these traditional instruments, but we weren’t writing traditional music. We were just writing songs with the instruments we had.” The result is a sound that the Portland, Maine-based band describes as “holler folk,” not because it involves a lot of hollering, per se, but because it invokes the rich communal tradition of field hollers, with their call-and-response melodies, sing-along hooks, and densely layered harmonies. 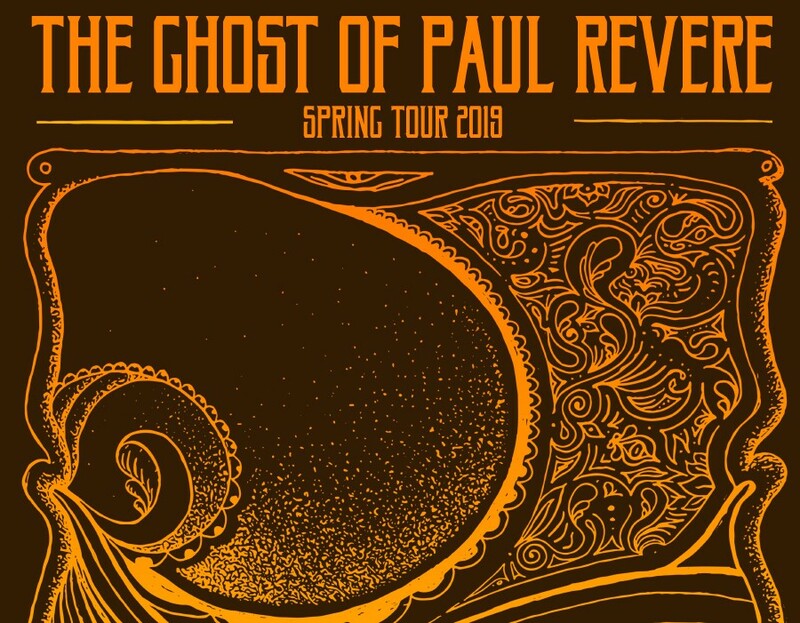 That sense of musical camaraderie is essential to everything The Ghost of Paul Revere does, and nowhere is it more evident than their sophomore album, ”Monarch.’ The album builds on the success of the band’s 2014 debut full-length, ‘Believe,’ and their 2015 EP, ‘Field Notes Vol. 1,’ which was recorded primarily in a single day at Converse’s Rubber Tracks studio in Boston. The session was part of a prize package presented by the iconic Newport Folk Festival, which had invited the band to perform at the storied Rhode Island musical gathering earlier that year as part of a lineup featuring everyone from James Taylor and Jason Isbell to The Lone Bellow and Bela Fleck.